Glutamine is one of 20 amino acids that help form all internal proteins and perform various other jobs inside your body. Gamma aminobutyric acid, or GABA, is a type of chemical called a neurotransmitter that plays a prominent role in information transfer between the cells of your nervous system. Your body creates GABA from glutamine in a complex process called the glutamate/GABA-glutamine cycle. Your body makes glutamine internally, and you can also get it from a variety of commonly available foods, including beef and other kinds of meat, milk and other products derived from animals, cabbage and spinach. There is more glutamine in your body than any of the other 19 amino acids, and in addition to protein construction, it helps you function by removing ammonia wastes from your tissues and supporting digestion and immune function. Through its role in maintaining your GABA levels, it also helps you maintain normal brain function. In combination with a byproduct of vitamin B-6, GABA crosses the synaptic cleft, a gap between the head of one nerve cell and the tail of another, and limits the ability of the target nerve cell to send signals to other cells. In this way, it helps prevent a cascade of nerve over-stimulation, which could potentially overload your nervous system and impede its normal function. Conditions commonly decreased or controlled by the actions of GABA include muscle spasms and epileptic seizures. Your body uses the glutamine in your nervous system to create part of its supply of another amino acid, called glutamic acid or glutamate, which stimulates activity between your nerve cells. In a complex feedback loop, glutamate is also used to make signal-inhibiting GABA. Your central nervous system conserves both glutamate and GABA through a series of chemical reactions known collectively as the GABA shunt. Through the mechanisms of this shunt, your body can convert GABA back into glutamate, which can in turn be converted back into glutamine. When your system needs more glutamate, the process of glutamate production starts over again. 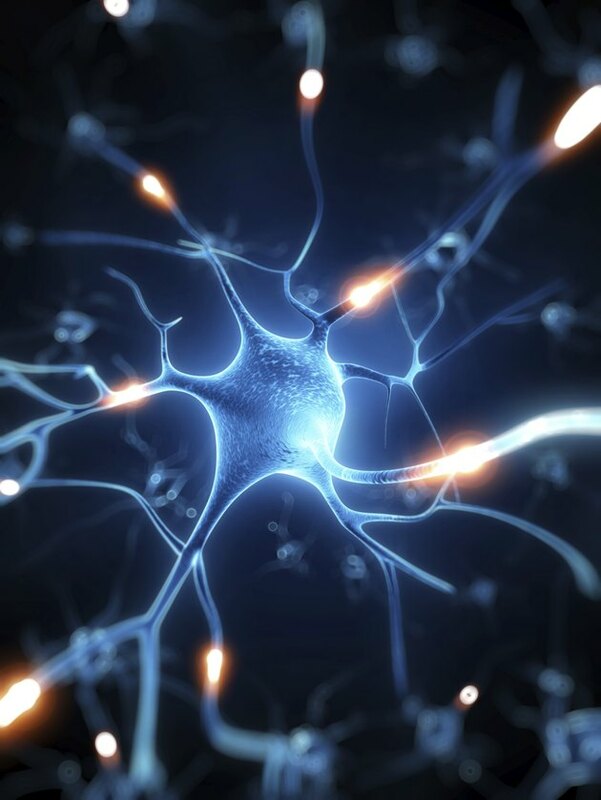 To achieve their effects in your nervous system, neurotransmitters target specific structures on individual nerve cells called receptors, which produce a characteristic reaction in the cell when activated. Typically, each type of receptor only responds to substances that "fit" it chemically. The beneficial effects of the anti-seizure, anti-anxiety medication Valium — and additional medications classified in a group called benzodiazepams — apparently stem from their ability to access the brain receptors normally targeted by GABA. Consult your doctor for more information on the interactions between glutamine, glutamate and GABA.